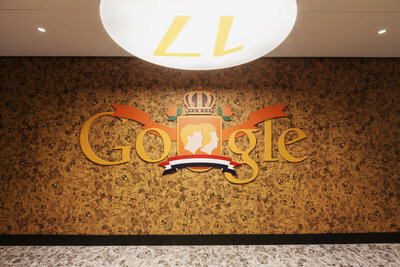 The garage where founders Larry Page and Sergey Brin started Google, was the inspiration for the interior concept. 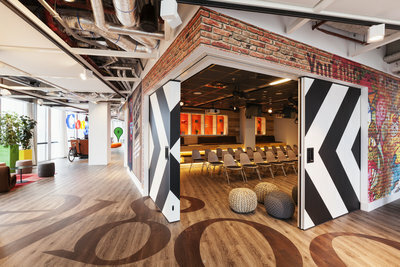 Quirky elements throughout the office illustrate this era - from graffiti walls and cardboard box lights to the exposed ceilings and container wall in the 70-seater auditorium, also referred to as the Tech Talk. Sustainability played a vital role in the restyling of the office. Existing meeting furniture, individual work places and parts of the micro-kitchens were offered a second life after refurbishment. 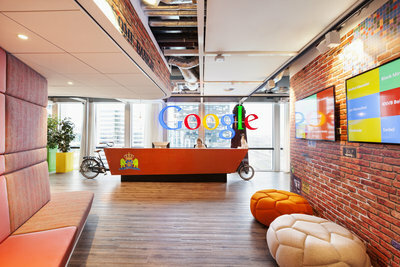 D/DOCK adhered to Google’s healthy material list by using non-toxic materials only and designed with a great focus on energy and water consumption. Situated in the Southern part of Amsterdam, the office is considered as an intelligent landscape. Each floor features its own cave; the zone build around the core of the building where all general facilities such as meeting rooms, huddle rooms, video booths and micro kitchens are located. The neighborhoods with the individual work places surround this central cave and represent the various departments. Every work place is adjacent to the window affording all employees a 180° view overlooking the city while working. This layout makes the office space highly adaptable. It allows the Googlers to communicate and work together in a diverse environment while having personal space at the same time. 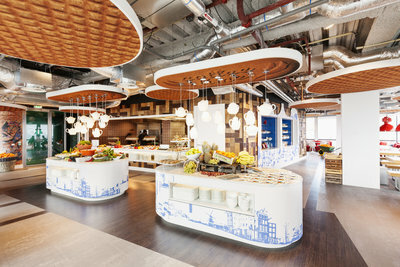 Each floor gives a nod to typically Dutch elements - whether it is the carrier cycle reception desk, the Stroopwafel ceiling panels, Gingerbread wall covering or the Delft Blue graphics in the restaurant. The re-used Febo snack wall that once served the Amsterdam cafeteria, now acts as a distribution point of computer accessories. 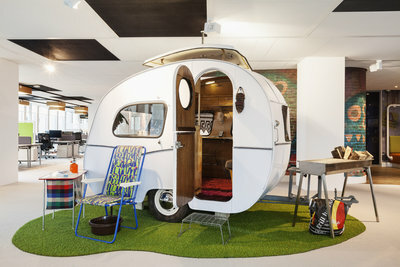 For those wanting to spice up their meeting, the real life sixties caravan in the middle of the office is the solution. It is nowhere close to an ordinary meeting room with the comfy cushions and cozy vintage furniture. 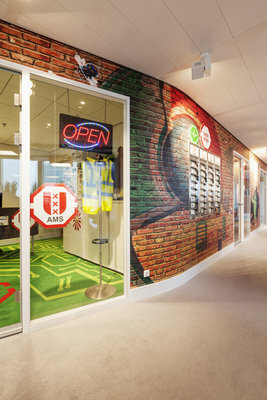 According to D/DOCK’s partner Coen van Dijck, the Amsterdam office is a feel good office. “It is a place that makes the employee perform better by offering a work environment that meets their needs”, he explains. “Happiness, comfort, flexibility, relaxation, well balanced nutrition, exercise, daylight, fresh air and visual stimulation are some of the fundamentals that makes this office a healthy one”, van Dijck continues. Google’s Healthy Food program ensures well-balanced menus in the restaurant, seating up to 80 Googlers. The gym, meditation room and the desk bikes all offer opportunities to stay in shape, both physically and mentally.